Photography Life Review Summary: A true classic, the Micro-NIKKOR Auto 55mm f/3.5 is a great performer even on the latest Nikon DSLRs like D800. Its center performance is outstanding and while the mid-frame and corners suffer from field curvature a bit at the largest apertures, stopping down the lens to f/5.6 produces superb results across the frame. The Micro-NIKKOR 55mm f/3.5 is a very sharp lens in the center, even at the maximum aperture of f/3.5. Its mid-frame and corners are pretty weak though, due to the rather heavy case of field curvature. However, once the lens is stopped down to f/5.6, the effect of field curvature is significantly reduced, increasing sharpness in the mid-frame and corners by quite a bit. Its overall peak performance is reached at f/8, where the lens shows excellent sharpness across the frame. 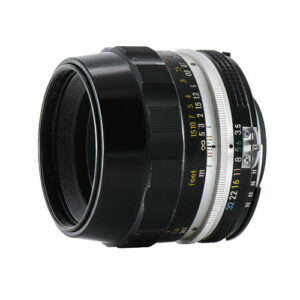 The lens does suffer from some focus shift from f/4 to f/5.6, but it is not result in too much image degradation. Distortion is controlled quite well and is barely invisible. Imatest measured some barrel distortion at -0.22, which is very low. I never want to own some of these old lenses or even think about use them for work. As I start photography in the 1980 AI lens were state of Art and this Pre-AI-technic seems history. to film and so I buy some stuff on Ebay. Lucky for me there were some of these AI modified lenses in one auction. Love on first look – I have to say ! The mechanics are just a pleasure – Nikon finest for all time !! orginal and as AI´d version. Two weeks ago I used it for a studio portrait session on my Nikon D800. This piece of glass is amazingly sharp – but also with a nice bokeh ! I you have the chance to get one – get it ! I use a 1971 version on a Sony Nex 7 for wild flower photography and have only one issue: this lens imposes a blue tint. It will, for instance, turn a red geranium into a blue-violet flower. Removing the BW ultraviolet filter makes no difference. Back in film days, with a 1969 version of same lens shooting Kodachrome and Ektachrome High Speed do not recal observing this. So perhaps the old lenses compansated for a red bias in our film. I color corect in Adobe Lightroom 5. Sometimes I even take home a flower petal to get proper color correction. When tiring of this, I use a Minolta Maxxum 105mm macro which gives true colors. Hello there, does anyone know why mine this lens doesn’t work well with Nikon FM2n? The metering doesn’t work with the lens. At wide open that is f/3.5 the meteringf is fine but when I stopdown, the metering value doesn’t change. Can anyone help me? Your lens is pre AI and requires the external toggle connection to lightmeter, as found on older Nikon F and Nikkormat bodies. The FM was built for AI lenses, does not have the external connector. So your FM always thinks the diaphragm is preset to wide open. 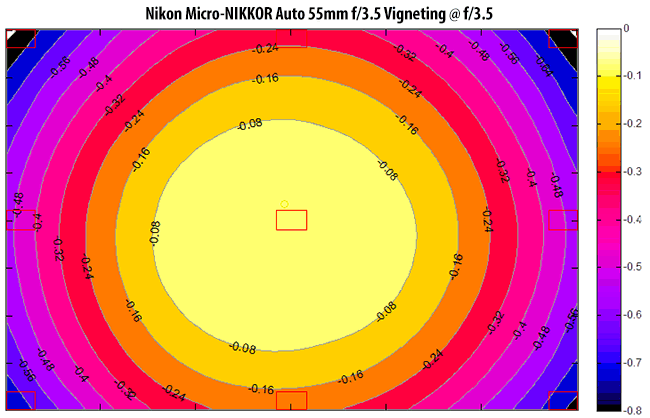 When AI (auto indexing, Nikon’s term for internal lens-light meter coupling) came along in the 1970s Nikon was able to retrofit some of my lenses, but not all. My 35mm f2 could not be done. Congratulations that your FM still works. I bought one around 1978, got only a few years on it before the lightmeter short circuited, and Nikon told me it was “too old” (about 3-4 years!!!) to repair. Este artigo foi fundamental para minha mais nova aquisição! A Kogaku 55mm Micro 3.5, mesmo tendo a 200mm F4 AF-D!! Investimento de 75 dólares.